The Blue Ridge Parkway is pleased to announce that $710,035 will be directed to addressing critical repairs along the 469-mile corridor. 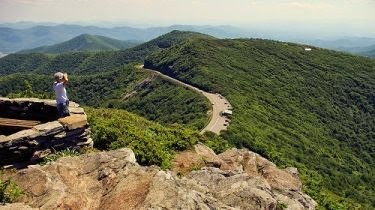 The Parkway and the Blue Ridge Parkway Foundation are receiving these funds through the NPS Centennial Grant Program, which includes $26 million for restoration projects at national parks around the country, including $16 million from non-governmental partners. The Parkway projects will improve visitor services, support outreach to new audiences, and strengthen partnerships reinvigorating connections to park communities. Parkway Superintendent Mark Woods describes this announcement as momentous. "These projects will not only help us reestablish high levels of public service in some areas with serious needs, they are a wonderful model for leveraging public and private funds to advance the Parkway in ways that would not be possible otherwise. Private, local support has been instrumental throughout the history of the National Park Service; it will continue to be critical to the future success of parks and their mission of protecting the country's natural and cultural resources for future generations." Protecting the Parkway is an immense undertaking; fortunately the Blue Ridge Parkway has a strong tradition of partnerships and private support. 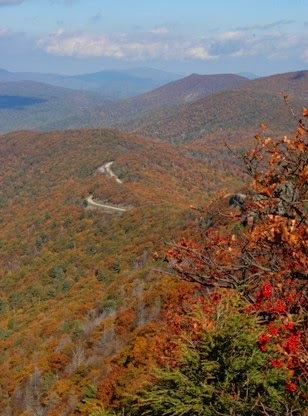 Every dollar awarded to the Parkway as part of this Centennial initiative will be matched by private donations through the Blue Ridge Parkway Foundation. Carolyn Ward, Blue Ridge Parkway Foundation CEO, states, "Our goal is to work hand-in-hand with the Parkway, providing financial support that ensures protection of resources and a high quality experience for visitors now and long into the future. Because of this matching opportunity, Parkway supporters can double the impact of every dollar they donate through the Foundation, up to the promised match amount." Funding for these projects is in addition to the Foundation's support of other critical projects in 2015, and brings the nonprofit's total impact on Parkway improvements to $1.25 million this year. For a list and details on the 2015 Centennial Challenge projects on the Blue Ridge Parkway, please click here. Great Smoky Mountains National Park officials have announced the dates for the firefly viewing event in Elkmont. The ticketed event will take place from Tuesday, June 2nd through Tuesday, June 9th. The online ticketing system, operated through www.recreation.gov, will again provide visitors with guaranteed parking passes for Sugarlands Visitor Center where ticket-holders will park for reserved shuttle service to Elkmont. 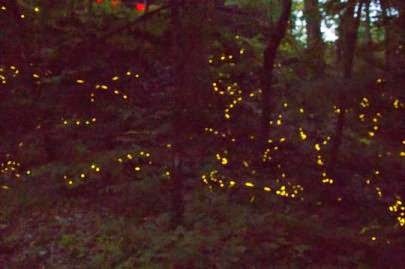 Every year in late May or early June, thousands of visitors gather near the popular Elkmont Campground to observe the naturally occurring phenomenon of Photinus carolinus, a firefly species that flashes synchronously. Access to the viewing area during the 8-days of predicted peak activity is provided through a shuttle service beginning at Sugarlands Visitor Center. All visitors wishing to view the synchronous fireflies at Elkmont must have a parking pass. The parking pass covers a maximum of 6 persons in a single passenger vehicle (less than 19 feet in length). Four passes for oversize vehicles, like a mini bus (19 to 30 feet in length and up to 24 persons), will also be available. Each reservation costs $1.50. Parking passes are non-refundable, non-transferable, and good only for the date issued. There is a limit of one parking pass per household per season. Each reservation through www.recreation.gov will receive an e-mail confirmation and specific information about the event. The number of passes issued each day is based on the Sugarlands Visitor Center parking lot capacity. Passes will be issued with staggered arrival times in order to relieve congestion in the parking lot and for boarding the shuttles. The shuttle buses, which are provided in partnership with the city of Gatlinburg, will begin picking up visitors from the Sugarlands Visitor Center RV/bus parking area at 7:00 p.m. The cost will be $1.00 round trip per person, as in previous years, and collected when boarding the shuttle. The parking passes will be available online for sale beginning at 10:00 a.m.on Thursday, April 30. The park will hold back 85 passes for each day to accommodate individuals who did not learn of the need to pre-purchase tickets. These 85 passes will go on sale online at 10:00 a.m. the day before the event and will be available until 3:30 p.m. on the day of the event or until the passes are all reserved. Passes can be purchased at www.recreation.gov. Parking passes may also be obtained by calling 1-877-444-6777, but park officials strongly encourage the use of the online process because it provides more information to visitors about what to expect when they arrive at the park. The online process is also faster which enables a better chance to secure a pass. The $1.50 reservation fee covers the cost of processing the request for the passes. The park will not receive any revenue from the parking reservations or the shuttle tickets. For more information about the synchronous fireflies, please visit the park website. If planning to visit the Smokies for the synchronous firefly events, or anytime this summer, please make sure to visit our accommodations page to find the perfect cabin or chalet for your visit. Six of the Big South Fork National River and Recreation Area and the Obed Wild and Scenic River trails are showcased in this year's Mountain Laurel Walks Celebration. These trails generally have excellent views of the beautiful, native mountain laurel (Kalmia latifolia) shrub that is usually in bloom in later May and early June as well as many wildflowers and are excellent hikes for bird watching. • Angel Falls Trail at Leatherwood Ford (2 miles, easy effort) is a relatively flat hike which offers visitors a view of the old Leatherwood Ford crossing, Big South Fork River, scenic geology and finishes with Angel Falls. There are two small bridges. • Burnt Mill Loop (4.4 miles, moderate effort) gives hikers the opportunity to view both the plateau and the gorge. It offers the longest section of trail on the Clear Fork River; the trail also offers a picnic area and restrooms at the trailhead. There is one set of steps and one ladder. • Gentlemen's Swimming Hole Loop (2.1 miles, moderate effort) showcases the confluence of Clear Fork River and North White Oak Creek.Visitors can also stop in to Historic Rugby to gain insight to the area's past. • Honey Creek Loop (5.2 miles, difficult effort) is the most challenging trail in Big South Fork. With multiple stream crossings and over 500 feet change in elevation, five waterfalls make the hike a must for any visitor. • Point Trail (3.8 miles, moderate effort) is the longest trail within Obed Wild and Scenic River. Hikers will enjoy bubbling streams, Obed Arch, and finish with a breathtaking view of the gorge from the overlook. There is one bridge with stairs. • Twin Arches Upper Loop (2 miles, easy effort) showcases the beauty of the Big South Fork. The loop offers a spectacular view of the gorge and the largest arch east of the Mississippi. There are four sets of stairs (two are quite steep). The Mountain Laurel Walks is an annual celebration of late spring in the Upper Cumberland Plateau and is organized by the Morgan County Tourism Alliance. For more information on these trails and other recreational opportunities in the Big South Fork and the Obed Wild and Scenic River, please call (423) 286-7275 or (423) 346-6294. As part of a nationwide initiative, Shenandoah National Park will begin charging increased entrance fees in two stages, beginning on May 1, 2015. In the fall of 2014, the National Park Service began a review of entrance fees charged throughout the National Park System, in part, to bring greater consistency to fees being charged at parks of similar size and complexity. To solicit public input, Shenandoah National Park launched a civic engagement campaign in December 2014 which included a series of public meetings aimed at discussing the increase needed to bring the park's fees into compliance with other similar parks in the nation. During the public comment period, the park received over 240 formal comments through e-mails, letters and on-line comments, as well as, over 100 comments on the park's Facebook page. While the majority of comments supported an increase, many people felt that the original proposal was too much of an increase to make all at once. To respond to public comments, the park modified the proposal to phase implementation of entrance fee increases beginning in 2015, and followed by a second and final increase on January 1, 2017. "The fee program is critical to the park," stated Jim Northup, Shenandoah National Park Superintendent. "Eighty percent of fees collected stay right here in the park and are put to work improving facilities and services important to visitors.Without this funding, park staff would have to forego these projects. The additional revenue from this increase will allow us to sustain this world-class park." Entrance fees have supported a wide range of projects that improve park conditions and visitor experience including, rehabilitating trails and trailhead signs, developing and installing exhibits in visitor centers, improving park water systems, rehabilitating wastewater treatment plants, providing ranger programs, improving ADA accessibility at Rapidan Camp and park comfort stations, and maintaining open vistas at park overlooks.Additional revenue raised by a fee increase may be used to rehabilitate/rebuild Front Royal Entrance Station for increased staff safety and improved access, restore wetlands in Big Meadows campground by removing a loop in and establishing replacement sites in a less sensitive area, as well as, restore backcountry stone structures, retaining walls, bridge structures, and huts. Beginning this spring, the Park will also charge a $10 per-person fee for visitors participating in special ranger-led van tours to Rapidan Camp, President Hoover's former retreat and a National Historic Landmark located within the Park. Children 12 and under will not be charged for this tour. The Park has also decided to move the group campsite currently at Loft Mountain to an underutilized area at Dundo Picnic Grounds, reducing conflicts within the main campground.Two 20-person group sites will be established at Dundo. The cost per site will be $45. Native spring wildflowers and children's creativity will be celebrated during Shenandoah National Park's 29th annual Wildflower Weekend, May 9-10, 2015. Special hikes and programs will focus on the diversity and value of hundreds of species of flowering plants that are protected by the Park. Visitors may also view the winning entries in the Park's first "Youth Art in the Park" wildflower art contest. The top-winning works will be exhibited at Byrd Visitor Center (mile 51 on Skyline Drive) on Wildflower Weekend, and later at Dickey Ridge Visitor Center (mile 4.6). Featured programs during Wildflower Weekend are "Bee Wild and Go Native ~ How to Create Your Own Wildlife Habitat," a PowerPoint presentation by Jack Price;and "Simply Beautiful," a nature photography workshop by Ann and Rob Simpson. Both programs will be on Saturday, May 9, at Byrd Visitor Center. On Sunday, May 10, Park Botanist Wendy Cass will lead a hike on the Fox Hollow Trail (mile 4.6), highlighting a new program funded by the Shenandoah National Park Trust to control invasive plants and restore native ones in targeted areas of Shenandoah National Park. There will be additional to hikes to waterfalls, peaks and other favorite wildflower trails, a bird walk, wildflower identification for beginners, and a program designed for children ages 7-12. New programs include a short hike down to Jeremy's Run and a hike around the summit of Bearfence Mountain. All programs are free and no reservations are needed. The complete program schedule is posted here. For more information on the easy hike to the Walker Sisters homestead, please click here. Andrew Skurka Presents: "Ultimate Hiking Gear & Skills Clinic"
At more than an hour in length, this video is obviously rather long. 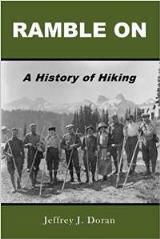 However, it's extremely informative, especially if you're fairly new to hiking and backpacking. In this clinic originally presented at the Google headquarters in 2012, renowned long-distance backpacker Andrew Skurka discusses the gear, supplies and skills necessary to make hiking fun, not an arduous chore. Skurka was named "Adventurer of the Year" by Outside and was described as "a Superman among trekkers," by National Geographic; he's also the author of The Ultimate Hiker's Gear Guide. Significant rainfall allowed firefighters to fully contain the 521 acre Blue Gravel wildfire on the Pisgah National Forest in the Shortoff Mountain area of the Linville Gorge Wilderness area. All areas, trails and roads closed during emergency operations are now reopened. Visitors should be aware of changing weather conditions and potential tree hazards. After initial attack operations were not successful, Forest Service responders assessed the values at risk and risk to firefighters. It was determined unnecessary to send firefighters into difficult terrain to suppress the fire when high values were not at risk and success was uncertain. The decision was made to fall back to established containment lines proven successful on previous wildfires. In doing so it also eliminated creating new impacts on the landscape from building new fire line. Positive results of the fire include a reduction of fuels that could contribute to severe fires in the future and benefits to wildlife. New growth encouraged by the fire will improve wildlife habitat and feeding grounds. Low, backing fires moved through fire-adapted shortleaf pine restoration areas, which are managed as part of the Grandfather Ranger District’s Collaborative Forest Landscape Restoration (CFLR) Program, one of ten projects nationally. Authorized for 10 years through the 2009 Omnibus Public Land Management Act, the Collaborative Forest Landscape Restoration Program (CFLRP) was created to emphasize partnerships between government and local forest workers, sawmill owners, conservationists, businesses, sportsmen, outdoor recreationists and others to improve forest health and promote the well-being of local communities. The fire was reported the afternoon of Saturday April 11th. The cause of the fire is under investigation. There were no evacuations, injuries or structures lost. In the short video below, Backpacker Magazine offers a list of items that should be included in your pack during a day hike. This is a great starting point for being properly prepared for a variety of conditions or circumstances that can be encountered while out on the trail, especially if you're new to hiking. However, you may want to check out the far more comprehensive list we've compiled on our hiking website. Our Hiking Gear Checklist is divided between essential and optional gear to bring on a hike. On the morning of April 4th, a report was received of three Appalachian Trail hikers who’d become separated from each other during the preceding day’s thunderstorms. Only one member of the party had made it to an Appalachian Trail shelter before nightfall; the other two independently spent the night out on the trail in the harsh weather with no shelter. Rangers Phil Basak (medic) and Jamie Sanders responded to the Spence Field shelter on the AT and contacted two members of the party. One had a knee injury and was experiencing a diabetic emergency; he’d been helped into the shelter by other hikers along the trail. He was treated and evacuated by horseback. The third member of the party, a man with an extensive cardiac history, was located just off trail approximately two miles north of the Spence Field shelter. He was reported as hypothermic, unable to move, and not lucid. Rangers treated him and requested the assistance of the Tennessee Highway Patrol Aviation Unit in extricating him and taking him to a waiting ambulance. Both hikers are expected to make full recoveries. On the afternoon of March 29th, rangers rescued a hiker who had taken a fall onto a pile of rocks a little over two-and-a-half miles from the Ramsey Cascades Trailhead. The hiker had sustained chest trauma and required evacuation by litter carryout from the backcountry over very rough terrain. The challenge of patient care increased when his airway became compromised subsequent to the chest injury. In addition to the deterioration of his condition, the extrication from the backcountry required the park’s technical SAR team to construct a Tyrolean traverse to get the patient safely across a river. The SAR operation took a total of seven hours from the time of injury to the waiting ambulance at the trailhead. The injured hiker was flown by helicopter to the University of Tennessee Medical Center and immediately admitted to the OR. Prior to departing the landing zone, ambulance personnel and flight medics had to perform a surgical cricothyrotomy to secure the airway. The patient is expected to make a full recovery. Last fall Great Smoky Mountains National Park officials announced that a full-scale restoration project will begin on Alum Cave Trail later this spring. The Trails Forever crew will focus efforts on several targeted locations along the 5-mile trail to improve visitor safety and stabilize eroding trail sections. As a result, the restoration work will require temporary closures throughout the 2-year process. Unfortunately this means that the Alum Cave Trail and associated parking areas will be closed May 4th through November 19th in 2015, excluding federal holidays, on Monday mornings at 7:00 a.m. through Thursday evenings at 5:30 p.m. weekly. For more detailed information on the other routes leading to LeConte's summit, please visit the Boulevard Trail, Bullhead Trail, Rainbow Falls, Trillium Gap or Brushy Mountain Trail pages. Great Smoky Mountains National Park officials have reopened the Whiteoak Sink area with limited access effective April 1 through May 15 to limit human disturbance in critical bat habitat and help hikers avoid interactions with bats. Park biologists will continue monitoring bat populations near the site as they emerge from winter hibernacula to collect population, ecological and behavioral data that will provide resource managers information to develop a long-term protection plan. “The Whiteoak Sink area is popular throughout the spring and we are pleased to be able to provide limited access to the area, while still taking precautions to minimize disturbance to declining bat populations as they emerge from hibernation,” said Superintendent Cassius Cash. Park biologists have reported up to 98% population declines of some cave-dwelling bat species. The decline is due to white-nose syndrome (WNS). Infected bats are marked by a white fungal growth on their noses, wings, and tail membrane. The skin irritation damages skin tissue causing the bats to wake from hibernation during winter months. Once aroused, the bats burn energy at a much faster rate depleting stored fat. With no food source available during the winter, the bats soon die. Infected bats exhibit unusual behavior including flying erratically during the day, even during winter months, and diving down toward people. They may be seen flopping around on the ground around cave openings. The park is home to 12 species of bats including the federally endangered Indiana bat and the Rafinesque's big-eared bat which is a state listed species of concern in both Tennessee and North Carolina. Bats play a significant role in maintaining ecological balance as the primary predators of night-flying insects. Biologists estimate that an individual bat can eat between 3,000 to 6,000 insects each night including moths, beetles, and mosquitoes. Great Smoky Mountains National Park is cooperatively working with other parks and federal, local and state agencies across the country to protect bats and manage their habitats. In an effort to prevent the unintentional spread of WNS by people, the park closed all of its 16 caves and two mine complexes to public entry in 2009. Ongoing research in the Smokies includes monitoring bat populations in the winter during hibernation and tracking bats in the summer to determine habitat use. A recent plan released by the U.S. Fish & Wildlife Service aimed at stabilizing the dramatic decline of the Indiana bat identified hibernacula found in the Smokies as one of only 13 sites across the country identified as critical habitat for this endangered bat. Wildlife biologists have determined that giving the bats the chance to survive includes establishing protective zones surrounding critical habitat caves. Great Smoky Mountains National Park is currently recruiting volunteers to assist a Trails Forever trail crew on rehabilitation projects on the Alum Cave Trail every Wednesday from May 20th through October 28th. The Trails Forever program provides opportunities for both skilled and non-skilled volunteers to work along-side national park crews to complete various trail projects. Trail volunteers perform a wide range of trail maintenance and rehabilitation work from rock and root removal, rebuilding trail tread, cleaning drainage ditches, constructing drainage features (water bars), and adding fill material. 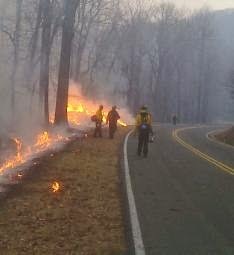 Great Smoky Mountains National Park will provide all the safety gear, tools and equipment needed for the projects. Volunteers are required to wear boots and long pants. They should also bring a day pack with food, water, rain gear and any other personal gear for the day. Work shifts run from 9:00 a.m. to 3:00 p.m., however arrangements can be made for shorter shifts upon request. For more information about the Alum Cave Trail project, please click here to find answers to frequently asked questions and updates on the trail restoration. It's finally April! 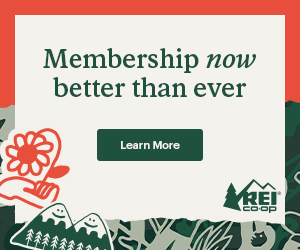 If you don't already wish you were in the Smokies right now, this short video from Great Smoky Mountains Association will likely leave you feeling like you should pack the car right now! Want to see some wildflowers this spring? For a list of the Best Wildflower Hikes in the Great Smoky Mountains, please click here.